Today we stumbled upon a ridiculously cool exhibit from a company called O2nails. 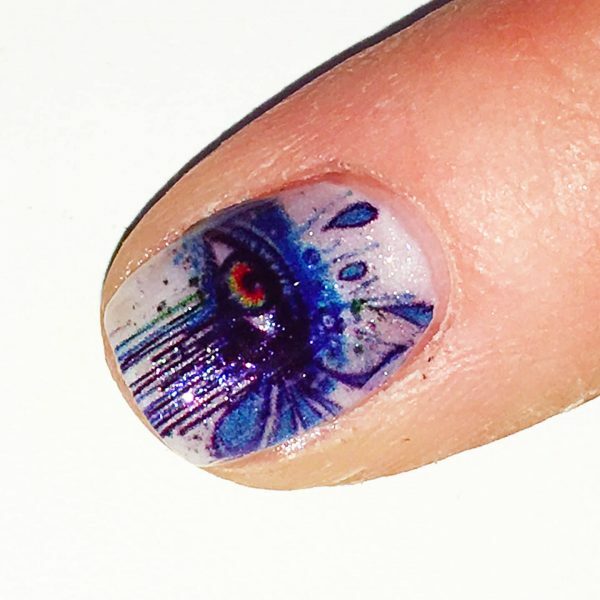 It is basically an ink jet printer for your nails. It is not available in the United States at the moment and is still relatively new in a select few international markets. 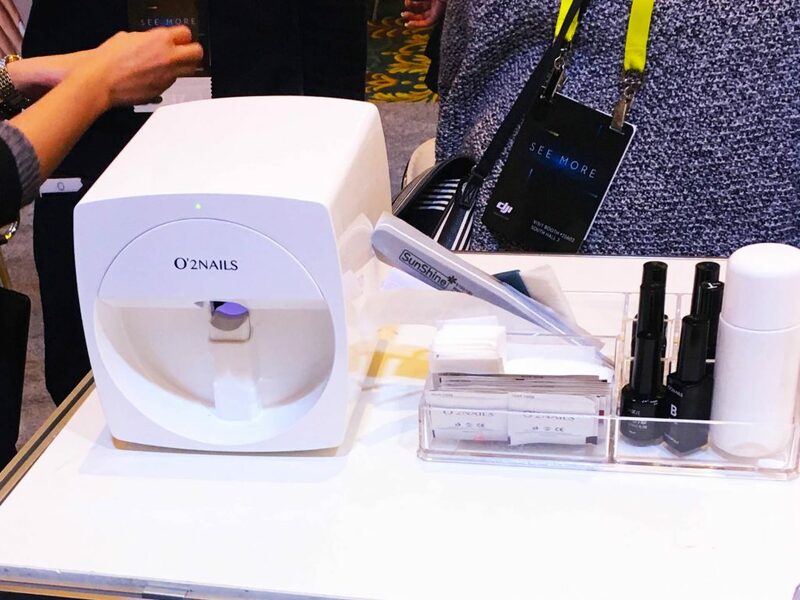 It’s a system that combines high quality nail printing with existing Gel nail methods. One of the things that really stuck out to me was how polished this system was. Typically, when seeing a piece of tech that is not yet available and really trying to pull off something cutting edge, it almost always comes off as feeling inherently “first gen”. 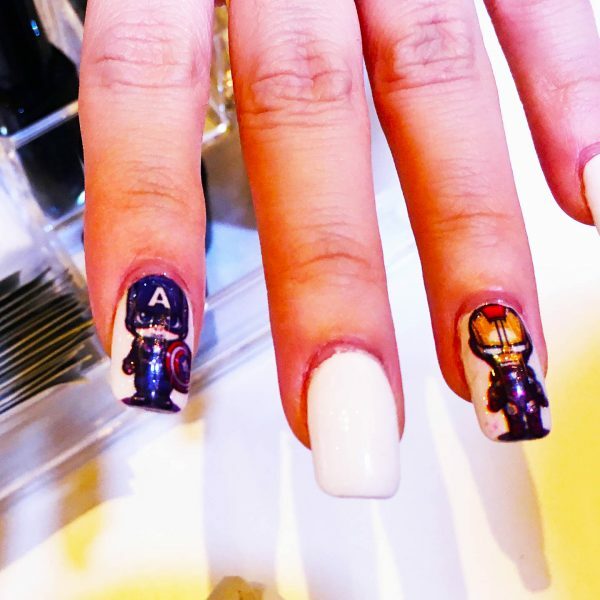 This however, was not the case with O2nails. The system was so polished and worked so flawlessly, that I could see being sold as-is in the Apple retail stores. 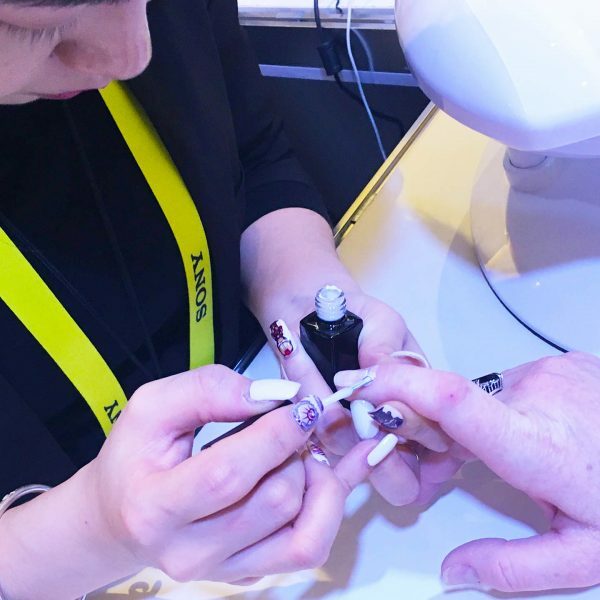 After a standard manicure, a proprietary white colored base coat is applied and dried. After that, a small amount of latex base is applied around the nail on the finger. At this point, the finger is inserted into the printing machine. 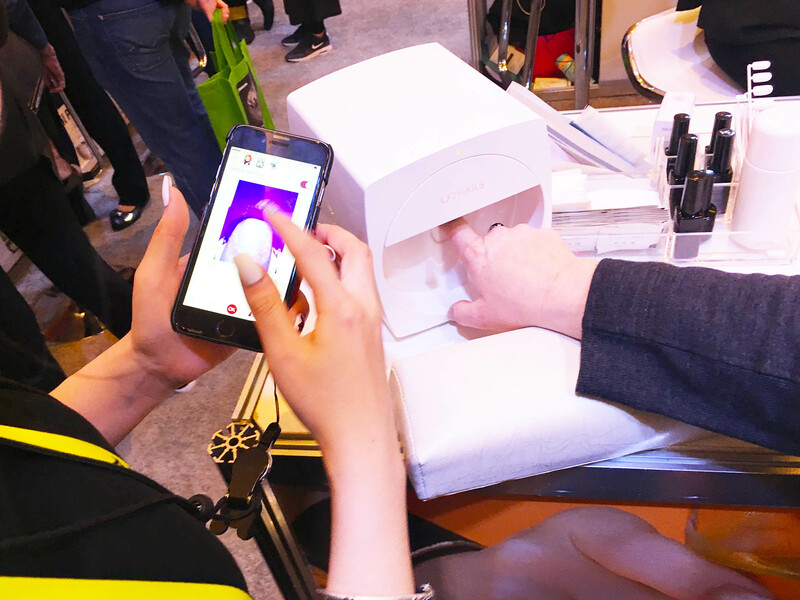 The graphic is chosen from within the app, and a built-in camera with placement over the nail inside the machine provides an augmented reality type real-time view of the nail via the app, and overlays how the graphic will look. After finger placement, has been tweaked, the printing process takes approximately 50 seconds. After printing, the latex base is peeled off ensuring none of the ink bleeds onto the finger for a perfect application to the nail itself. 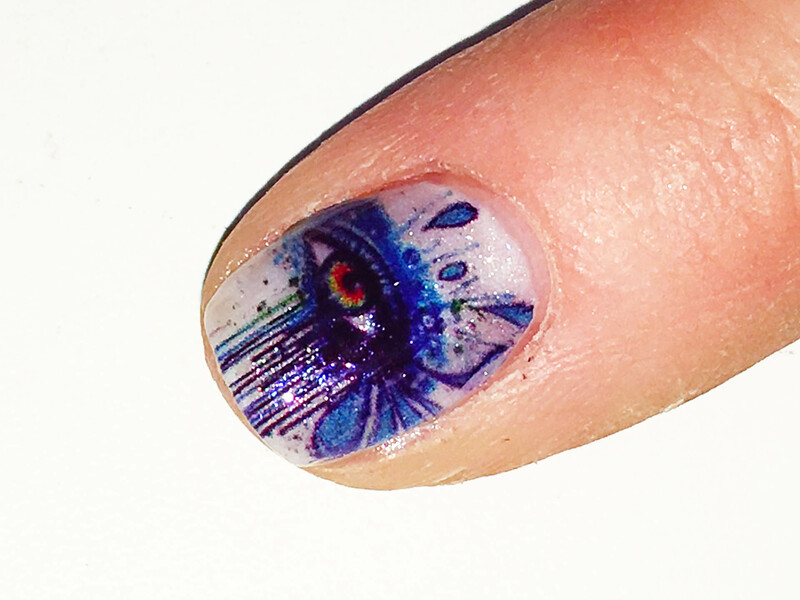 The process is completed by a Gel nail overcoat to protect the image. The end result is remarkable. It looks like a polish that was done by some impossibly talented nail artist flawlessly painted to perfection. Literally everyone I showed this to was completely blown away by the outcome. 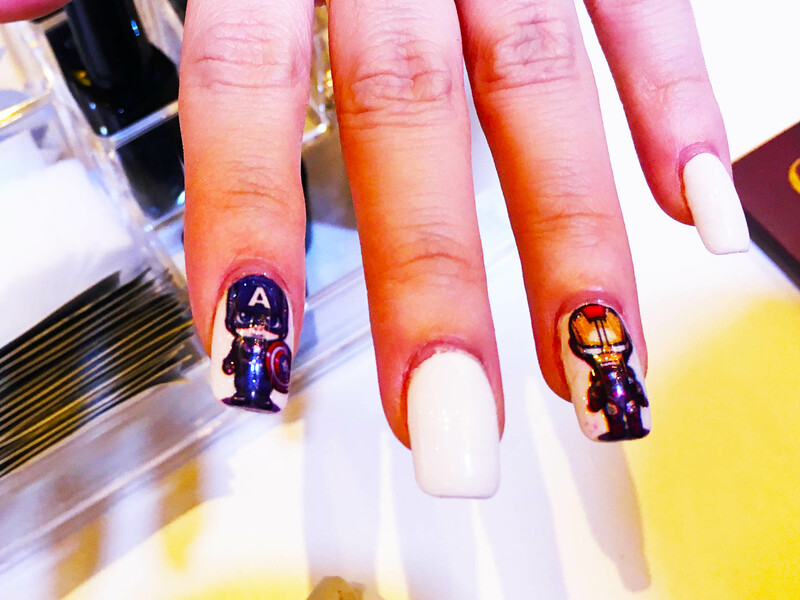 Even the men checking out the booth were getting in line to get logos and superheroes printed on their nails. You know you have a hit on your hands when both men and women are lining up equally excited to get their nails manicured and painted. The hardware itself is very well designed. Minimalist, but done in a practical way indicative of an Apple-influenced design. Every element of the hardware and interface is impressive. The ink is retrofitted to fit existing (what looked like Cannon) ink cartridges. A smart move to use an existing cartridge form so as to avoid wasting dev time on something already very well thought out and designed. This product really embodies the fun behind CES and discovering cool new things that not many people know about yet. 10 out of 10 for the experience. 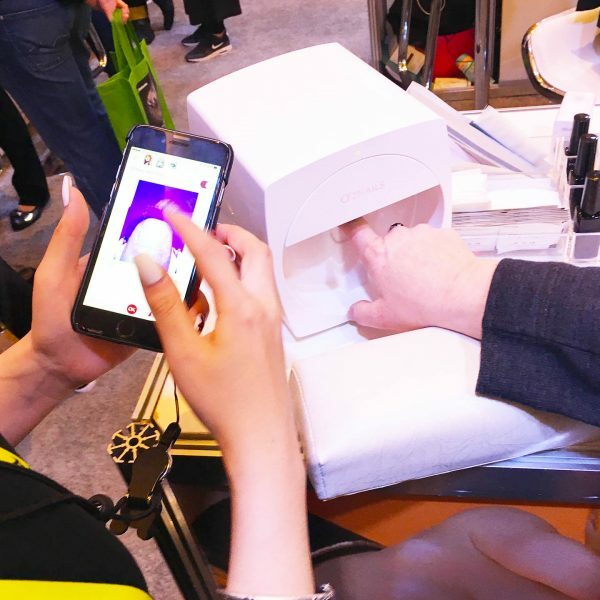 This tech will be standard equipment in every nail salon within the next few years as it becomes more mainstream and accessible.